PLEASE fill out the On-line Form, PRINT the completed form and submit IN PERSON or BY MAIL. Please allow 7 to 10 business days for regular mail. We accept cash, check or credit/debit (service fee applies) in person. You can send check or money order for all mail requests. 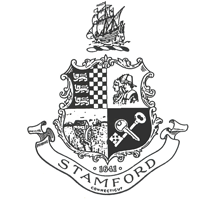 Payable to: The City of Stamford. If you would like expedited service (USPS Express/Priority, Fed-Ex, UPS, DHL), please overnight the request to us and provide us with a pre-paid overnight envelope and we will overnight it back to you the same day we receive your request.